Bluemark Entertainment for all your Wedding and Party needs. From DJ's and live bands, to photography and filming to specialist lighting and dance floors. Hertfordshire wedding DJ with a fantastic reputation for being the best. We would love to play an important part in your celebrations, we consider it to be an honour to do so and pride ourselves in our friendly and professional approach which is only matched by our passion for delivering a truly unique and memorable experience. From our informal compere services through to ceremony music or the final celebrations we provide first class wedding disco services designed around your wishes making it easier for you to enjoy your wedding day. We provide bespoke services for all your Wedding and Party needs. 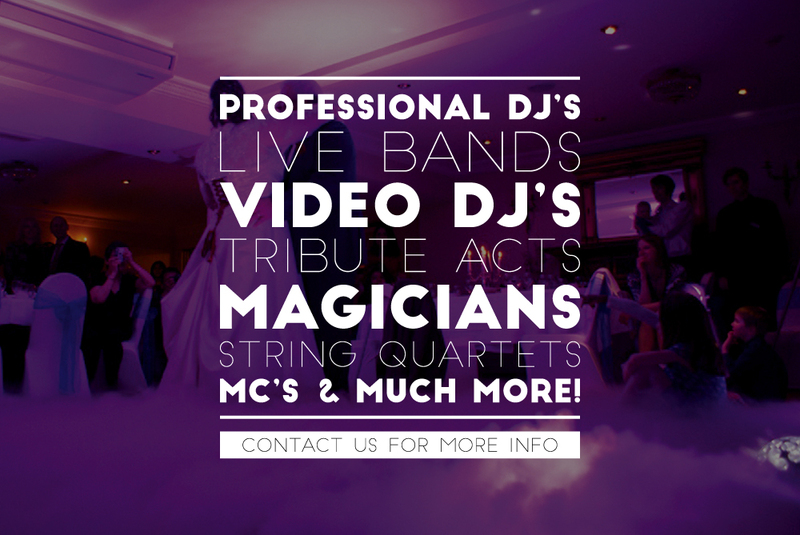 From DJ's and live bands, to photography and filming or specialist lighting and dance floors. In addition we can act as an MC for you on the day and co-ordinate with other suppliers to ensure a smooth running event. 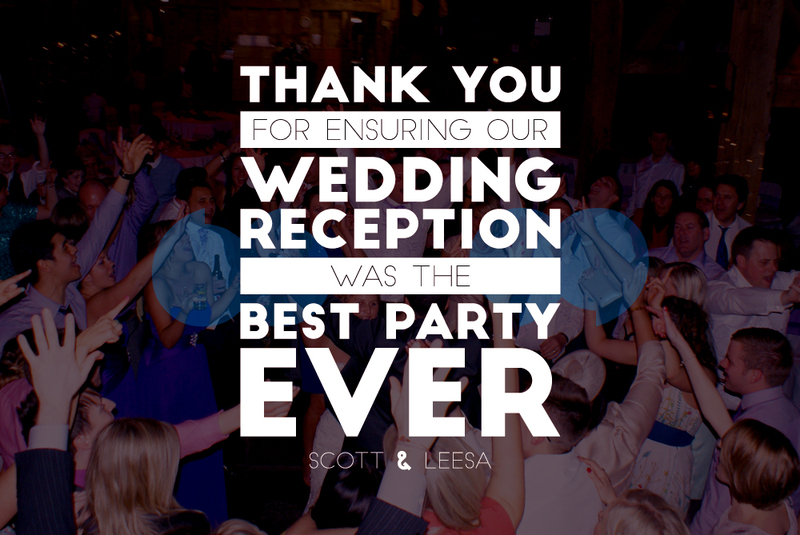 Our style is modern and fun with a humorous twist - certainly one you and your guest will remember ! With over 20 years of experience within Hertfordshire our first class team we will make sure your event is special and remembered for all the right reasons! Our solutions are first class, they look sophisticated but are simple ensuring we can set up quickly. Our studio based in Hatfield, Hertfordshire means we can meet in a relaxed environment and offer a free demo. How about a DJ who can do the evening event photography when your official photographer has left ? All images on this site have been personally been taken at events by myself we are wedding DJs with good camera skills and our speciality is the 4th dimension in the DJ world - the visual experience of having real time images taken and displayed at your event - be it from our photobooth or camera. We are are preferred suppliers to some lovely venue and often work at The Priory Barn, Little Wymondley, Hatfield House, Netherwinchendon House, Red Coats Farm, Milling Barn, Chesfield Downs Golf and Country Club, Brocket Hall, Dorton House and many many more. We own all our equipment and can supply DJ, Disco, Photo Booths, Photo Kiosk, LOVE lettering, Drapes or top table backdrops, Lighting, LED starlit dance floors, Uplighting, Wedding letters or Initials, Confetti Canons, Dry Ice for first dances, Pea lighting, Floating Light Canopies, Festoon Lighting, Chinese Lanterns or over head lighting canopies, Room Decor or Room Dressing. Getting married in 2019/20? Sign up for our wedding and party tips and tricks now - it's free ! Offers, advice trick & tips ? just sign up with your email address now. This is all useful information for you and your friends but we respect your privacy and you are free to remove yourself at anytime. Fairy lighting or pealighting created for a full floating light canopy - absolutely stunning and available in different colours.